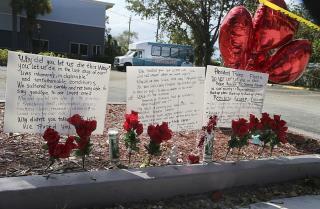 (Newser) – A 94-year-old woman who survived the post-Hurricane Irma air-conditioning failure that left eight people dead at a Florida nursing home is suing the facility, accusing it of "reckless and negligent indifference." A lawsuit filed on behalf of Rose Cabrera states that she's a double amputee "without the ability to walk or live independently" who had been assured that she'd be safe at the Rehabilitation Center at Hollywood Hills despite the storm, ABC News reports. The lawsuit states that Cabrera, who was unaware that the home had no emergency generator capable of powering its AC system, was hospitalized with heat-related injuries after the system failed for days. This is such a sad commentary. They should have been moving these elderly people to safer grounds. It never should have happened! I pray the nursing home outfits generators and safety measures. Stories like this should be heard more often. Because before hell, you're all going to end up in places like these. Think about it. white priests become Catholic ministers to molest kids. white man becomes cop to kill minorities. white man works for nursing care if he likes to screw old broads or they enjoy putting their sausage in a 90 year old man's back door pipe, white man become high school teachers and coaches if they just want to "look and not touch"
I'll be surprised if the case is heard. The Nursing Home industry will settle quickly so Americans don't learn the real truth: unless the media is watching, you can't sue a nursing home. Almost all of them have an arbitration clause in the agreement and you'll never find a nursing home if you refuse to sign it. Arbitration clause means you can't sue them. You go to arbitration.